Packing for Manaslu Circuit Trek could be an easy task. But you need to plan ahead what to take on your journey. If not, you might fill up your backpack with unnecessary items and leave the important ones out. 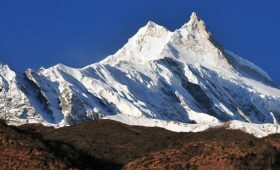 The Manaslu Circuit trek is a popular trekking destination. It is a great alternative to the Annapurna Circuit trek. Stay aloof from the regret of over-packing. Unnecessary items only add to the weight. draining you and demanding attention that eventually go to waste. So it is essential that you are well prepared for your trek to ensure your safety and for an amazing trek. 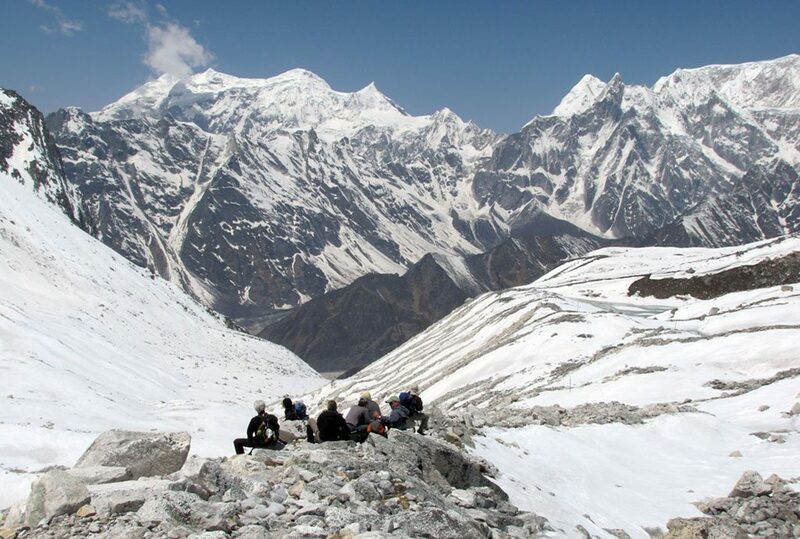 The Manaslu trail leads you through six climatic zones. The tropical and subtropical zone, the temperate zone, the subalpine zone, the alpine zone, and the arctic zone. Heavy rainfall, freezing nights, blazing sun, and chill wind are all possible during your trek. The lowest altitude on the trek would be 710 meters. The permanent snow line is over 5000 meters in elevation. It results in consistent sub-zero temperature. 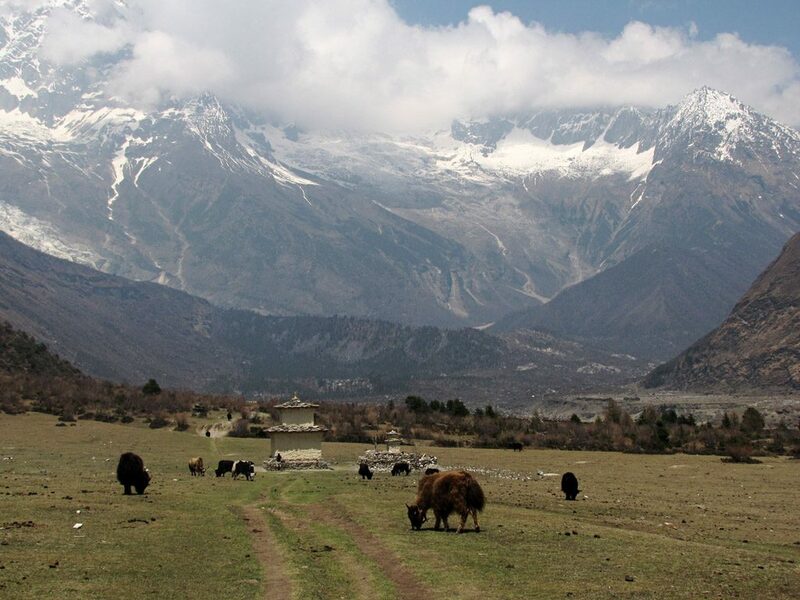 The weather along the Manaslu Circuit trek splits into four seasons. The spring runs from March to May, summer or monsoon from June to August, autumn from September to November, and winter from December to February. Spring is great for those who want to experience the best of tranquillity as well as the scenery of the trail. It is the best season for Manaslu Circuit trek. During the spring season, weather remains quite stable and you’ll also get a beautiful view of blooming rhododendrons. This season is also the safest of all seasons. You will face lower risks of avalanches, landslides, and other climatic hazards. Autumn season is arguably the best season for trekking. The temperature is stable, being neither too hot nor too cold but almost perfect. There is a rare chance of rainfall during these months. Thus, for good visibility and pleasant climatic conditions, a post-monsoon period is the best time for the Manaslu Circuit trek. Summer is the hottest season is also the time of largest downpours. But it is still possible to trek Manaslu Circuit with good trekking gears and rain gears. But come prepared for the rain! Winter is the most adventurous time to trek the circuit. The sky is clear and the mountains look magnificent. The piercing cold air will definitely challenge you, but packing well for winter trekking will help you through it. 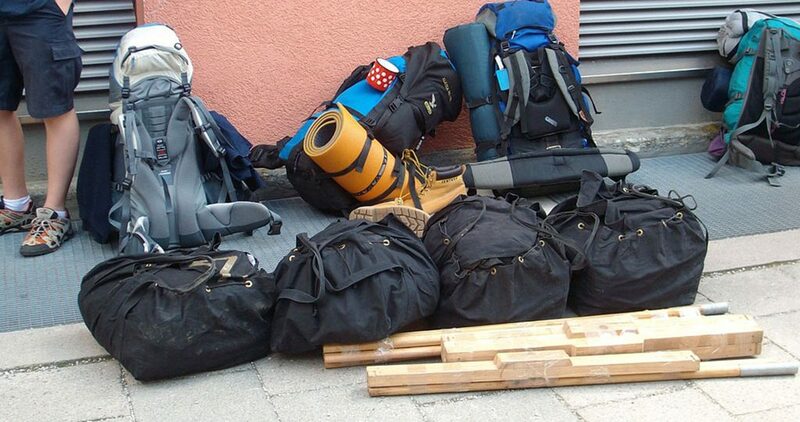 It is always a great idea to not have excess luggage while trekking or either traveling anywhere. Especially when you actually carry them on your back throughout the journey. It is best to keep the weight limit to the minimum. The Nepalese government has a fixed weight that a porter can carry i.e. 15 kgs or 33 pounds for the Manaslu Circuit trek. A good quality sleeping bag is a must for trekking not only in Manaslu but anywhere. Though the tea houses provide you with a blanket, it may not be enough for you at high altitude. It’s best to come prepared. The four season sleeping bag is highly recommended. It is the perfect balance between warmth, weight, comfort, and functionality. These are optional and they add extra warmth to a sleeping bag. It also provides comfort if you plan to hire a sleeping bag instead of bringing your own. If you cannot sleep without a pillow, you can bring a small inflatable pillow. These are optional but of great use, if you are a light sleeper. Especially if you have a room partner who snores. In the Himalayas, you will experience all the seasons in a day. The weather can change within a matter of an hour. So, when trekking it is advisable to dress in layers. You will basically need to have three layers or more, depending on your ability to withstand cold. This is a thermal top like the heat tech which traps heat and does not allow the wind to enter. It is most important for the colder section of the hike. This includes a t-shirt (long sleeved or short sleeved). Keep in mind to bring t-shirts that are lightweight, comfortable and quick drying. You also need a fleece jacket which is water and windproof. The third and the outermost layer is usually jackets and trousers. They must be windproof and waterproof. As for the lower body, convertible pants are the best option. You can start by wearing full pants when starting the activities early morning. Then, you can transition to sorts when it is gradually getting warmer during the day. Just easily zip the lower part off. During the trek, the maximum amount of heat loss is through our head and foot. So to keep yourself warm, you have to keep your head and feet warm. Warm thick socks with padding around the toes and heels are advisable. As for shoes, you need a pair of sturdy but comfortable hiking boots. A good quality hiking boot is important with ankle support. It is also important to get waterproof boots to stay warm and elongate the life of the boot. Get the right sized shoe and break it in before you start the trek. You wouldn’t want blisters on the first day of the trek. Besides the hiking boots, you need a pair of comfortable trainers or trekking sandals. After trekking for long hours you will need them to walk around the area comfortably. If you are planning to trek in monsoon season, gaiters are good to keep your boots dry from the inside. And, you can also use it to prevent mud, stones and even leeches. Inner gloves must be a lightweight, quick-drying ideally made from fleece materials. It works as a base layer under the insulating gloves and helps you to do minute work with it. Likewise, outer gloves are like outer layer jacket. Thus, it needs to be warm, waterproof, and durable. The sun is extremely strong at high altitude. Especially if there is snow. It reflects light, it could be very difficult to keep your eyes open for a long period of time. So, it is better to get a dark and UV protection sunglasses. Though the temperature is low, there will be high radiation of UV rays. So, you need to wear a sun hat, sunglasses, and a high SPF sunscreen. As you reach higher altitudes on the Manaslu trek, it gets colder during the mornings and night. So, using a warm hat, preferably a heat retention hat. You can also bring a buff, which is a versatile piece of fabric. You can use it as a headband, cap, mask, neck gaiter and many more. It will keep your neck and face warm from the chill wind. Carrying a headlamp will be great for trekking cause you won’t be needing an extra hand. It is great when you want to take a night walk or when you have to start your journey early in the morning. You need to keep yourself hydrated so you don’t get altitude sickness. So, you need to bring a water bottle with yourself. You can bring water purification tablet from your country or even buy them here in Nepal. These tablets are only for backup or emergencies. You will get boiled water or bottled water on the trail though for a few extra dollars. You can also choose to use the natural spring and river water but after purification. Trekking poles are very important while trekking. The rough and uneven terrain can be a lot for your knees especially while descending. Trekking poles will lessen the burden off your knees. Get a lightweight and fold-able trekking pole. You might need crampons if you are planning to trek during winter (December- February). These are to walk without slipping in ice or snow. The microspikes have small spikes which can help you walk on moderate ice or snow. They are very light in nature and is perfect for light packers. This day backpack is to carry all the essential items that you might want handy throughout the trek. It should be big enough to fit in all your necessary items but not heavy since you will have to carry it. A bag with pockets and compartments and with waterproof cover is ideal. This bag is what your porter will carry on the whole trekking journey. It’s best to pack heavier stuff in this bag that you won’t need during the day but will need when you reach camp. It should be light and comfortable with shoulder straps or luggage with wheels. The soft luggage is more preferable. The Manaslu trail is pretty isolated, so you might want to bring along a first aid kit for emergencies. As you might not find a chemist shop or a hospital nearby. Carry this kit in your backpack for easy access. Bring along your toiletries with you such as shampoo, soaps, toothbrush, toothpaste. Choose to carry travel packs. And feminine hygiene products for female trekkers. It is an easy and quick way to disinfect your hand when traveling, great to use before and after eating. It is next to impossible to shower every day during the trek. So, this is a great alternative to clean your face and body. It can be useful to protect your belongings in your backpack or duffel bag. While carrying electronics like camera, mobile phone etc. you will need to charge it. It might be troublesome to find a charging point in your room or could have to wait for charging your phone. So, get a good portable charger. You might have plenty of free time when acclimatizing, so you might want to spend your time reading. Carrying an e-book is best for travel. You can read at night without complaining of low lighting in the lodges and you don’t need to carry heavy books! You can buy or rent trekking gears in Kathmandu. Ask your guide or your travel agency to hook you up with some local stores that will rent you trekking gears. Some stores will also buy your trekking gears if you want to sell them after your trek. But please make sure you keep the receipts with you for a better price. You can leave your belongings at the hotel you stay in during the time you leave for the trek. It is, however, a good idea to have a large and visible name tag on the bags to avoid anyone taking yours by mistake. Please pack beforehand to avoid leaving things behind. Packing wisely for a trek will make it easier for you to enjoy your trek and avoid any complications on the way. Especially since its a remote area, it is unlikely for you to find anything on the way. It is always best to come prepared. But keep in mind, the requirements changes according to the season you trek and personal preference. Avoid unnecessary items to carry and enjoy the authentic and secluded solidarity of the Manaslu Circuit trek. For further queries and information please feel free to contact us. We will help you to the best of our ability. Happy trekking!